STUNNING UNOBSTRUCTED VIEWS OF THE LAKE & LSD, RARELY AVAILABLE NORTHEAST TIER OF MIES VAN DER ROHE'S MODERNIST GLASS & STEEL HI-RISE. LOCATED IN THE HEART OF STREETERVILLE AND WALKING DISTANCE TO MICHIGAN AVE MAG MILE. REPUBLIC STEEL CABINETS BRING YOUR DESIGN IDEAS. LEASED PARKING AVAILABLE IN THE BUILDING. SORRY NO DOGS. SEE AGENT REMARKS FOR MORE INFORMATION. 900 N Lake Shore Drive #913 Chicago, Illinois 60611 is a condo property, which sold for $377,500. 900 N Lake Shore Drive #913 has 2 bedroom(s) and 2 bath(s). 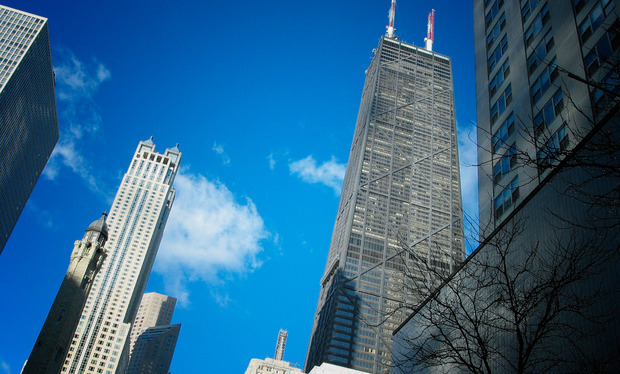 Want to learn more about 900 N Lake Shore Drive #913 Chicago, Illinois 60611? Contact an @properties agent to request more info.